The latest jobs report released Friday shows that unemployment has risen from 9.1 to 9.2 percent, with government jobs getting the most cuts. And such public sector losses disproportionately affect African Americans, given that a larger percentage of working black adults hold government jobs than working white or Hispanic adults [PDF]. The loss of government paychecks erodes one of the great equalizing forces at play in the American economy for more than a century. A government job has long offered a pathway for African Americans to sidestep discrimination that has impeded progress in the private sector, where social networks often determine who has a shot at the best jobs, say experts…. 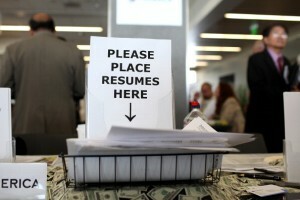 D.C.’s unemployment rate was 9.8 percent in May. But the rates differ ward-by-ward [PDF]. The District’s poorest and nearly all-black wards saw May unemployment range between 16.8 and 24.9 percent. Conversely, the city’s wealthiest, and whitest, ward saw a May rate of 2.6 percent. The title of this is totally misleading. It makes it sound like African Americans are targeted, when it’s really just a coincidence that they hold more government jobs. I suggest Ms. Izadi reconsider headlines to not hint as discrimination that simply isn’t there. This is a unique and wonderful post. It is to the point..